While cellular carriers are beginning to focus on 4G networks, many still suffer with poor signal on existing 3G networks. Networks including AT&T and Verizon Wireless offer range extenders which plug into a home broadband connection, but using these adds a few extra bucks to each monthly bill. Fortunately, Wilson Electronics offers cost-effective signal booster solutions to solve this issue. Last year we reviewed the Wilson Electronics SignalBoost DT, a powerful amplifier for increasing coverage across an entire household. While it makes a great addition to homes with poor signal, it did not offer any mobility. The MobilePro Signal Booster, which has been around for at least two years, offers the same technology in a compact package and helps improve signal in smaller areas such as a single room or a vehicle. 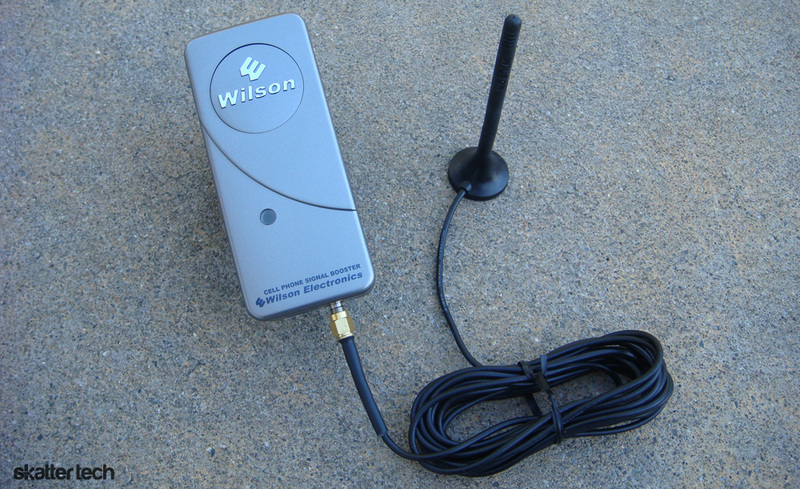 Like most Wilson Electronics signal boosters, this device works by utilizing two antennas. One receives signal from a cell tower site just as your cell phone would, but with a larger antenna. The booster then amplifies that signal indoors with the second antenna embedded in the base for better performance. Wilson Electronics ships an AC power supply, a car charger, a USB cable, a 4 inch magnetic antenna, a suction cup window mount, and a carrying case with the MobilePro booster. While the setup is not too difficult, it can get messy with multiple cables. The first step is to mount the external magnetic antenna. If in a hotel, bedroom, or office space, the suction-cup bracket easily attaches to any window. If in a vehicle, the best place is above the roof. The strong magnet keeps the antenna secure even with rough driving or poor weather. Both option fasten the antenna into place without any adhesives, which is a plus. Keep in mind that positioning is critical. Any obstructions can diminish signal quality quickly. A cable runs from that antenna to the base unit which should reside inside your vehicle or near your wireless device. There must also be at least eight feet of spacing between the external antenna and the base unit to avoid oscillation which can interfere the amplification. The base units needs power from a computer’s USB port, a wall outlet, or a car cigarette slot. Once properly configured and powered on, a LED light indicates status: green means good and orange means something is wrong. 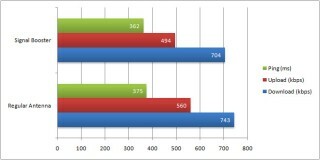 A lower ping time is better while higher download and upload speeds are better. 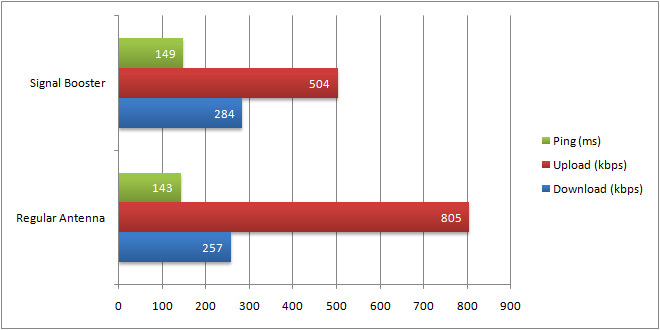 As the collected data shows, response time improved slightly at the cost of slower data rates which was disappointing. As for signal strength, a higher decibel value means stronger signal. 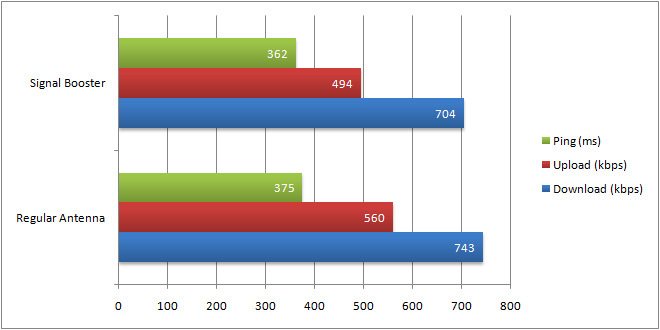 While data rates did not improve, the signal strength clearly did increase from -73.50 dB to -69.50 dB. Since these results were not too convincing, I decided to repeat the same tests in another location. The differences between my phone’s regular 3G antenna and with assistance the signal booster were clear-cut. With the MobilePro enabled, signal strength got a major boost, however data tests still were a mixed bag of results. Upload speeds suffered greatly and ping times took a slight hit with the signal booster in use, however download speeds improved slightly. 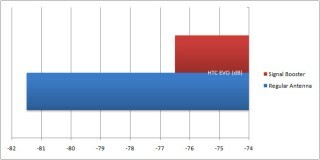 This demonstrates that the effects of the signal booster can vary greatly depending on signal strength in your location. Properly setting up the device to avoid interference and any obstructions is also a major factor. The MobilePro definitely reduces the changes of dropped calls, however data rates did suffer in most cases. Also, the improvements that the booster offers diminishes quickly if you walk more than a few feet away from the booster. While the Wilson Electronics SignalBoost DT offered major improvements across the board, the MobilePro was not as helpful. Signal strength will improve, but smart phone users will likely experience slower data rates. If you do not have a data-enabled device, the MobilePro should only bring improvements if configured properly. Since the booster helps maintain a steady signal, your mobile phone will also last longer on batteries since it spends less time searching for cell towers. I was glad to find that the MobilePro includes a modular USB cable that plugs into a laptop or the included car or wall outlet. The carrying case which can store main device and the accessories is also a plus. 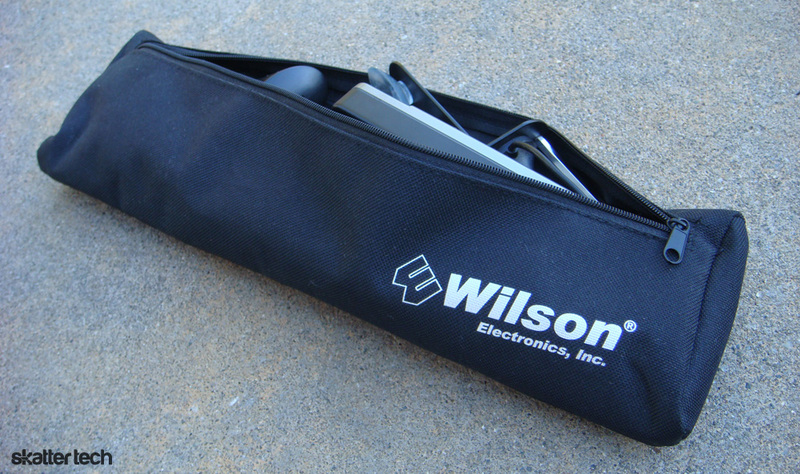 Wilson Electronics also makes it easy to mount the device at home or in a car. The only downsides are the cables which will easy get tangled if you do not tie them down properly. If you own a basic feature phone, the MobilePro will offer noticeable signal improvements, however smart phone owners should hold off. We will also be reviewing the Wilson Electronics Sleek, which showed better results when it comes to data-hungry devices. If you are suffering with poor signal with your AT&T, Sprint, T-Mobile, or Verizon Wireless network, I would definitely recommend a signal booster over a carrier-provided “femtocell.” For those concerned with configuration difficulty, Wilson Electronics provides phone tech support, a 30-day money back guaranty, and a one-year warranty. Suggest testing in a location where the ambient signal level is very low, e.g., -100db or more typical of locations distant from a cell tower. 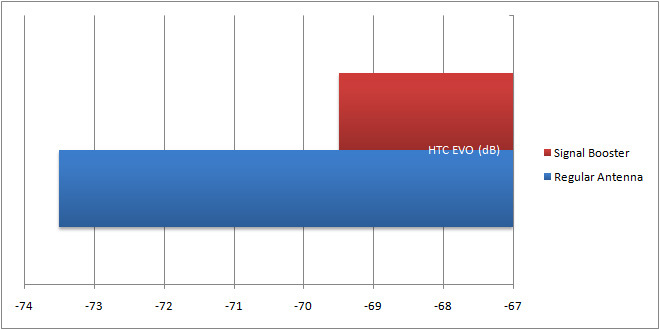 The signal at the test site (-73db and -82db measured by HTC EVO) is already in the sweet spot. Boosting already adequate signals will add no additional throughput (upload and download speed).